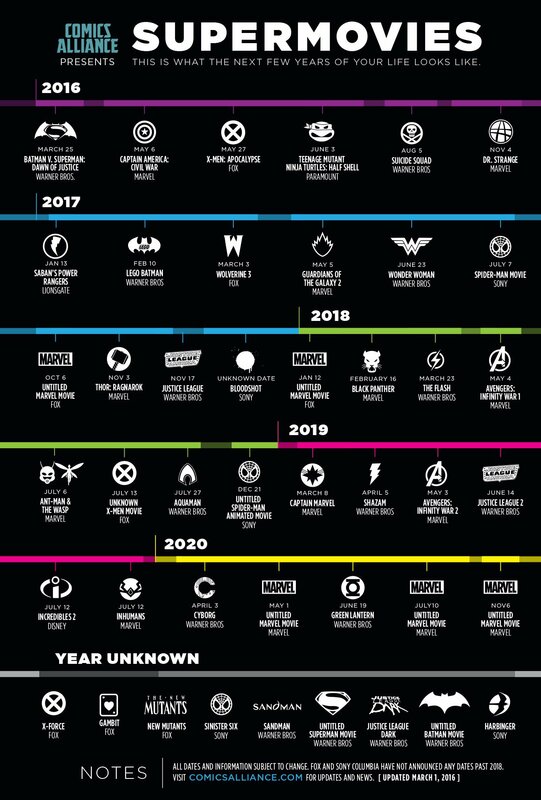 Comics Alliance made this neat chart that catalogs the announced lineup of superhero movies from Marvel/Disney, Warner Bros., Sony and Fox. 2017 is crazy packed. We can’t wait for Black Panther and LEGO Batman.